The Education Outcomes Fund for Africa and the Middle East (EOF), a billion-dollar fund that was presented at the Italian Senate, is based on the principle that social, political, and economic emergencies in Africa can be resolved only by strengthening the continent's educational system. The fund is promoted by the Education Commission of former UK Prime Minister Gordon Brown and the Global Steering Group for Impact Investment (GSG), a worldwide network for investment with a social impact. The fund aims to connect financial returns to interventions and models that produce positive, measurable social results in the sector of educational access and higher education. 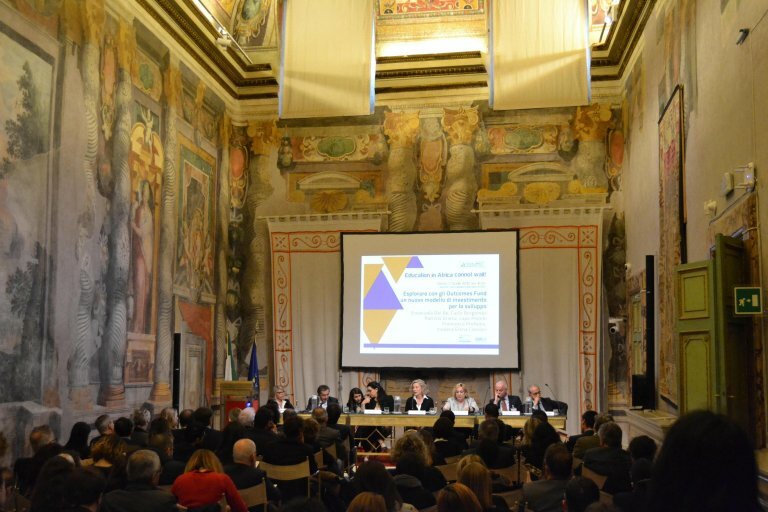 Social Impact Agenda (SIA), the Italian national advisory board for GSG, presented the fund in the Italian Senate during the event "Education in Africa Cannot Wait!." "Payment by Results" investment SIA said that one out of every two nine-year-olds in Sub-Saharan Africa are unable to read a single word. It said, without a significant increase in investments in this sector, by 2030 there will be about one billion illiterate children worldwide. This impact investment initiative aims to stem the educational emergency in Africa and the Middle East by supporting innovative interventions to facilitate access to education. The Outcome Fund is made up of a public-private partnership model based on a "Payment by Results" scheme that involves donors, investors, civil society organizations, development agencies and governments in a strategic, shared program for reaching a specific social goal, linked to the results of the investment. SIA President Giovanna Melandri said the project is based on the "creation of a one-billion-dollar outcomes fund to pay back investors who invest in the Middle East and Africa to fight educational poverty." The "mantra" of impact financing is "results", which Melandri said in this case are linked to geopolitical questions. "If the crisis of misalignment between education and work isn't faced, I think we can talk about migrant flows all our lives, but we'll never get to the heart of the problem." Amel Karboul, CEO of the Education Outcomes Fund and former Tunisian Tourism Minister, said "educated minds are the most important infrastructure of a country." She said the world's attention needs to be shifted from school to learning, by putting the focus on performance, innovation, and inclusion. Italian Deputy Foreign Minister Emanuela Del Re said EOF is a commendable initiative that "gives us the feeling that something is possible, and that the impact of projects like this, which are based on results, can reassure us about the future."